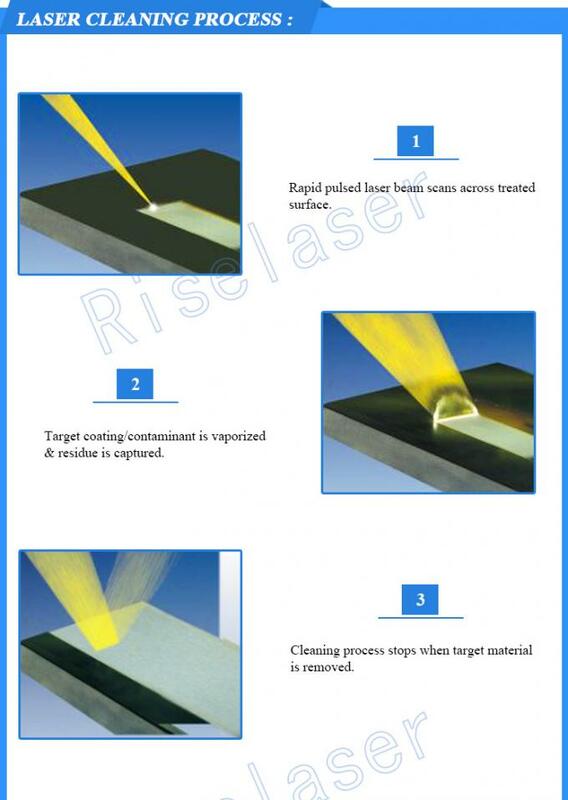 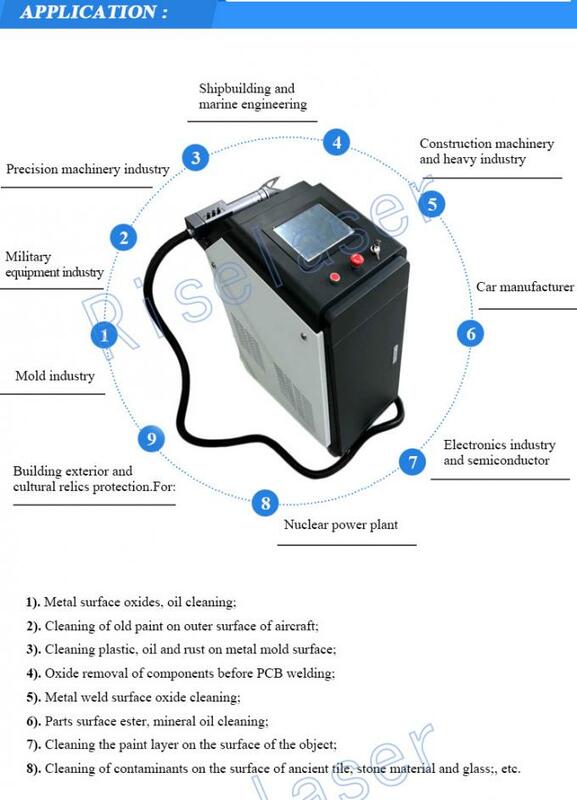 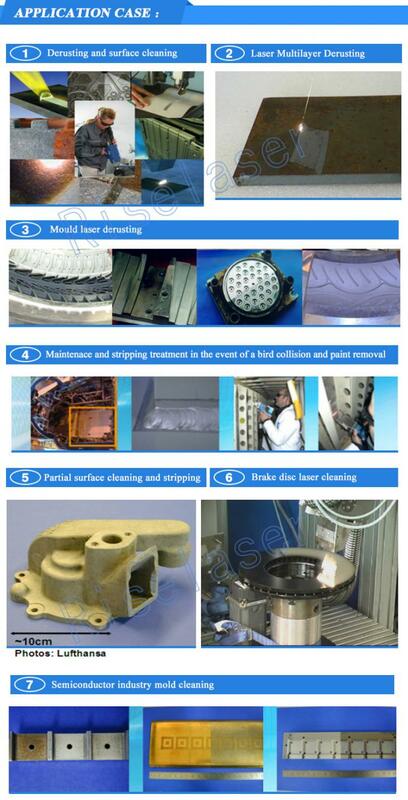 Riselaser cleaning machine is new generation of high-tech products, base not injured parts, consumable materials, energy conservation, environmental protection,efficient cleanup on the surface of resin, oil, dirt and stains, dirt, rust, coating, coating, paint,meet the industrial processing complicated shape, fine positioning cleaning requirements, achieve cleanliness higher cleaning effect, the comprehensive cost lower production efficiency. 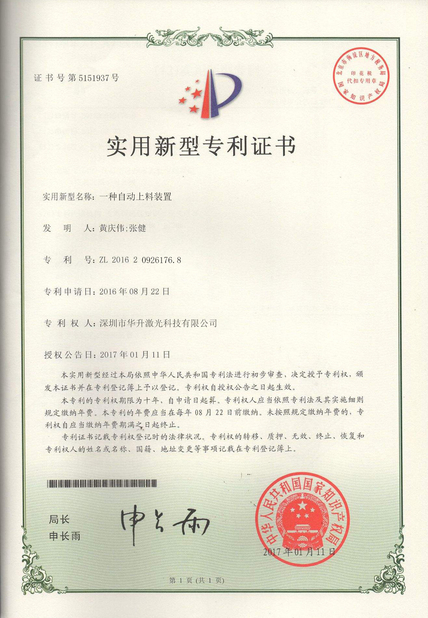 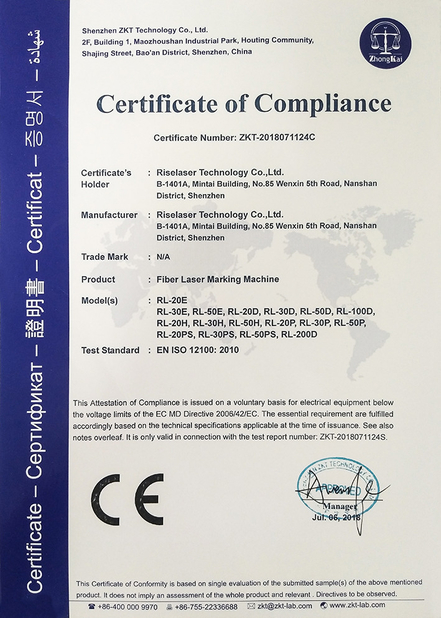 Mainly used in automobile manufacturing, mechanical processing, electronic processing, cultural relic repair, mold industry, shipping, food processing, petrochemical industry and other industries. 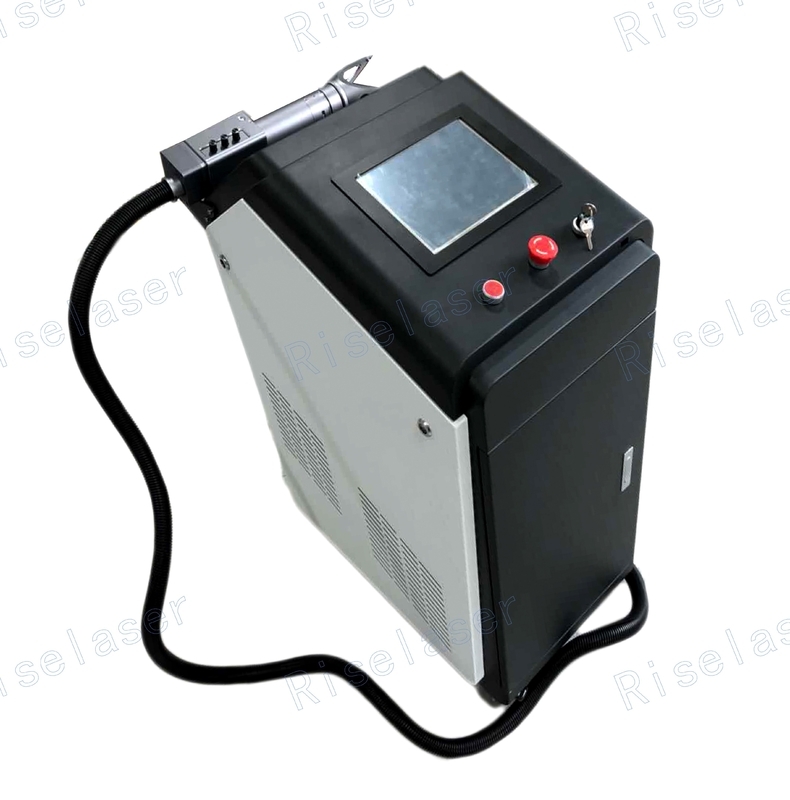 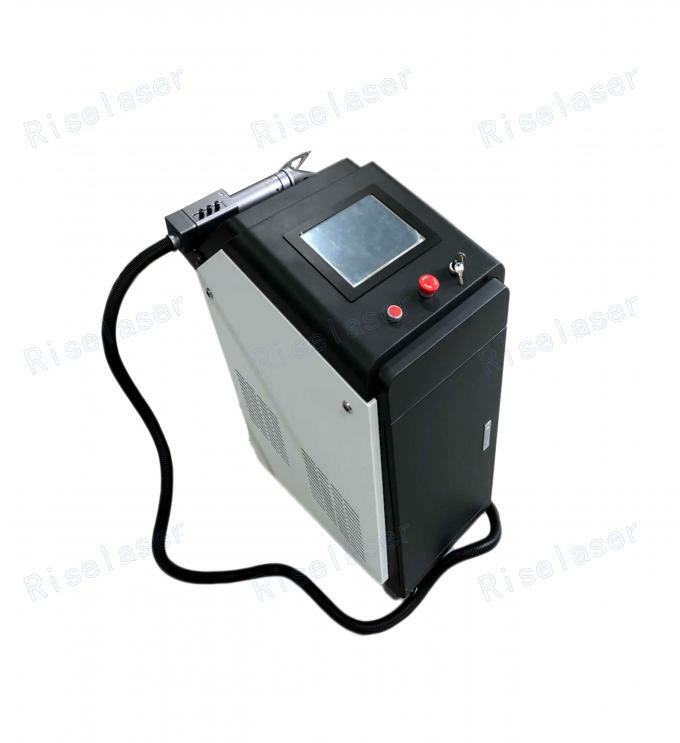 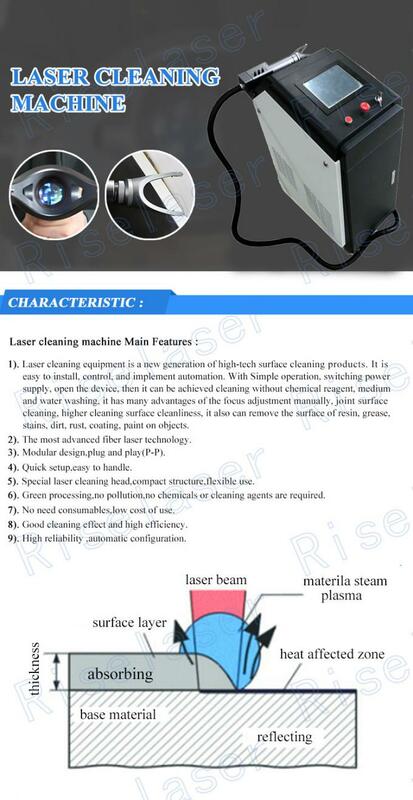 100 w and 200 w laser pulse laser cleaning, using optical fiber output, fully enclosed stable light path, the service life of more than 100000 consecutive hours, 2 years warranty, forced air cooling, the machine integrated power 480 w, environmental protection and energy saving, small and portable.